Millions of shipping containers pass through sea ports each year, carrying anything from machinery and auto parts to shoes, toys, and frozen food. 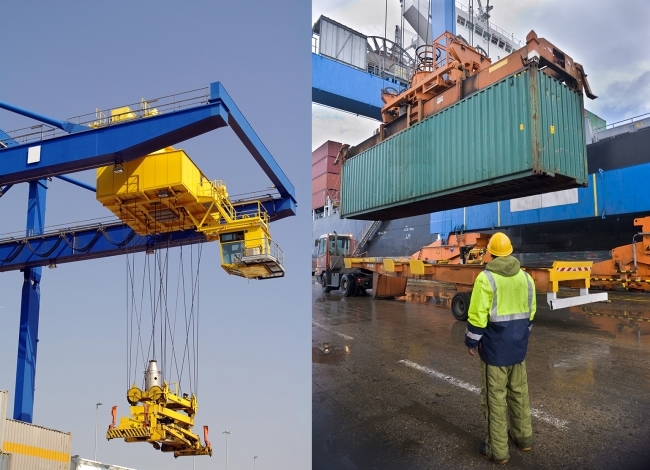 At modern ports, containers are unloaded onto docks, and then moved to stacking yards where Automatic Stacking Cranes and Ship to Shore Cranes stack them until they are ready to be loaded onto trucks or train cars. 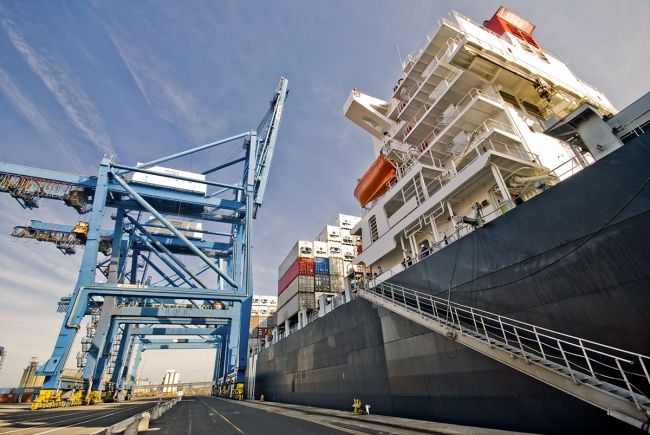 Containers must be moved quickly and accurately without interference from other containers, cranes, or vehicles. Any delays reduce profitability for the port, especially at large ports that move thousands of containers each day. ABB Crane Systems is the world’s leading supplier of automation and electrical systems for container handling and bulk handling cranes, including automatic stacking cranes and ship to shore cranes. They are notoriously difficult to control because they use long ropes, and small disturbances can cause the containers to swing. Even without any external disturbances, the motion of the container itself can produce oscillations. Today, these cranes are required to lift heavier loads at higher speeds and to greater heights than ever before; however, this size increase is making the oscillation problem even worse. These oscillations and their suppression have been widely recognized as a major efficiency bottleneck by the shipping industry. ABB Crane Systems wanted to develop improved automatic crane controllers capable of suppressing the swinging motion, and hence improve their customers’ operational safety and profitability. ABB Crane Systems asked Maplesoft Engineering Solutions experts to develop a new high-fidelity model of the container and ropes of large automatic cranes. Once developed in MapleSim, the system-level physical modeling tool from Maplesoft, the model was then exported as a Simulink® S-function to be used in testing. With the dynamic behavior of the ropes and container captured in the model, engineers at ABB Cranes were able to test their control strategies under a variety of scenarios and duty cycles. Since MapleSim allowed for the model structure to be quickly changed and the S-function regenerated, changes could easily be made in response to feedback from the operators. The team at ABB Cranes uses MapleSim models for mechanical analysis, control algorithm development and to optimize operations. As a result, the engineers at ABB Crane Systems are able to improve the performance of their crane control systems, increasing container throughput for their clients. These results increased profitability for ABB Cranes’ clients, particularly at very large ports moving thousands of containers each day.